Formability diagrams: Total Materia holds a unique collection of formability diagrams for calculations in the plastic range and at high levels of deformation for thousands of materials, heat treatments and working temperatures. Both true and engineering stress curves are given and a range of possibilities for searching by user defined parameters. As just one part of Extended Range, our formability diagrams give unrivalled assistance to the engineering world and when combined with the Total Materia database provides the ultimate advanced property tool. Suppose that you want to view formability curves for 1.1191 DIN. 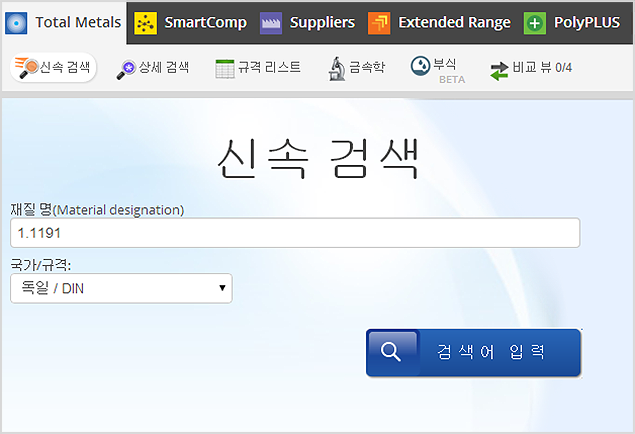 The Total Materia search engine performs material searches by designation most efficiently through the Quick Search option. All you have to do then is to simply click the "search" button. 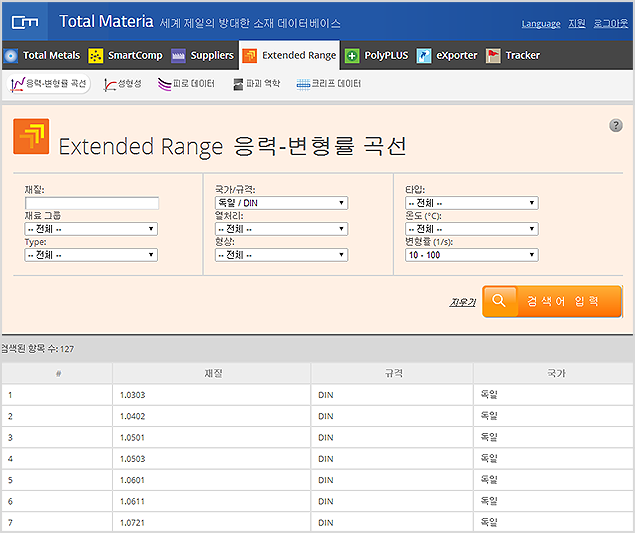 In a few seconds the Total Materia search engine will find all materials, which have 1.1191 DIN in their designation. 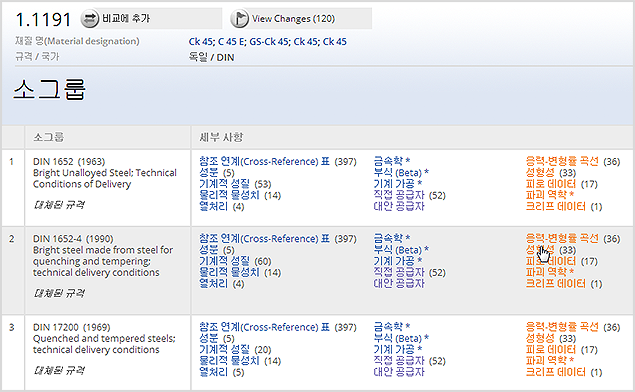 Total Materia will conveniently show all matching search results in subgroups. You can then simply select the material/standard that interests you and view any of its properties by clicking on the relevant link. To view the formability diagrams click on the link in the subgroup of your choice. Total Materia allows the possibility of finding formability curves directly through the Extended Range module using the special search criteria. Simply click on the Extended Range module and select the Formability sub menu option. 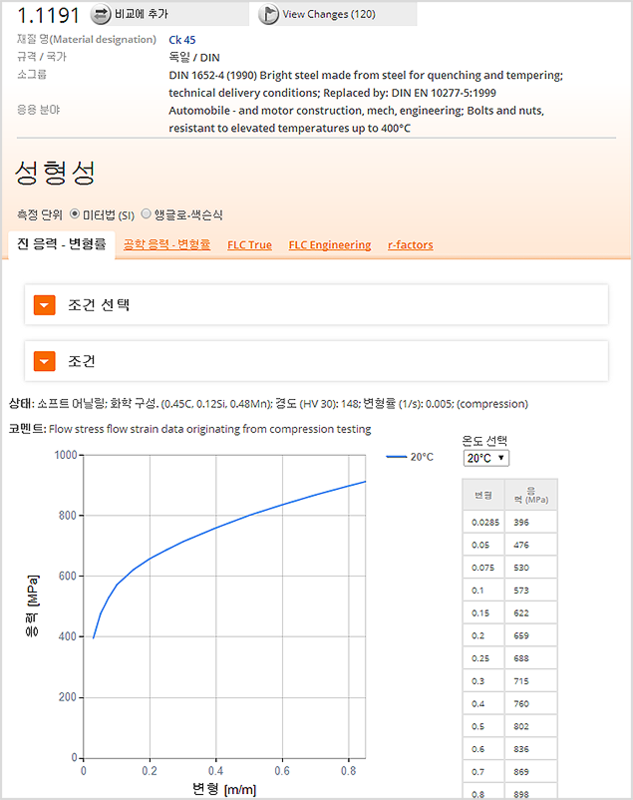 It is possible to narrow the list of thousands of materials by stipulating specific search parameters such as heat treatment, form, temperature and strain rate. 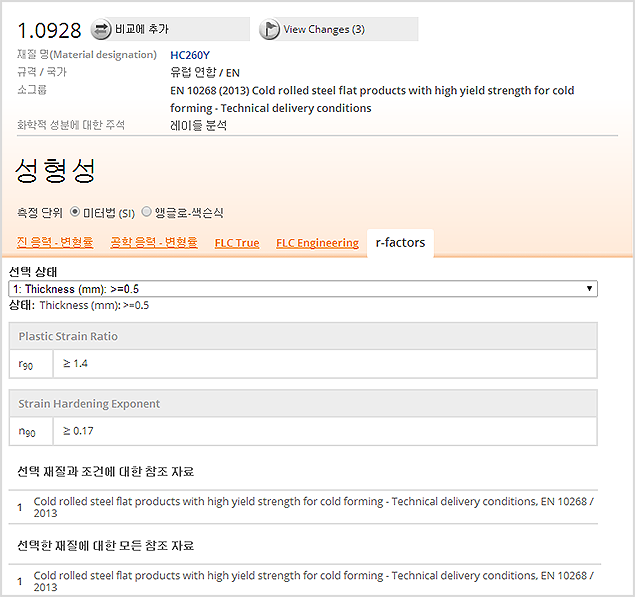 In this case we are looking for German (DIN) stainless steels with a strain rate of 10-100(1/s). Total Materia will present curves at room temperature which match the search criteria but it is also possible to select from a range of conditions from the Condition Selector. After selecting the condition of interest, it is possible to view true and engineering stress-strain and also forming limit curve (FLC) true and engineering stress-strain. The figures are also handily displayed in the table for ease of use in other calculations. It is also possible to find additonal r-factor information for specific materials which aids CAE modeling activities for specific material types.